Play this fun version of the popular card game classic and try to be the first to score 500 points! The rules are easy to learn: you start with 7 cards and need to get rid of them before the other AI players. After drawing from the pile, you have to match the current card in the discard pile either by number, color or icon. Make sure to announce your next-to-last card or else receive a penalty. Do you have the right strategy and luck to beat your opponents? Welcome to our famobilicious HTML 5 cross-device game catalog. Here you can find more than 300 non-exclusive and exclusive licensed HTML5 games, reviewed, categorized and hand-picked for every taste. Feel free to browse through our games created by developers from all around the world. 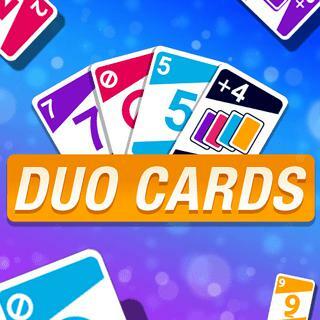 If you like Duo Cards games, you should check out the other games from our famobilicious game catalog. Do you need help? Why don't you check out our Help & Support category and see if your questions and problems can be solved.